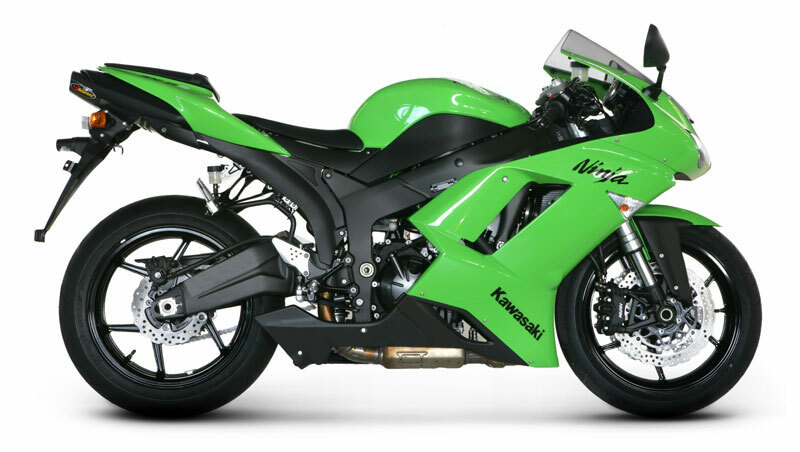 The ZX 6-R, Kawasaki's speedster in the 600 class, is definitely a head-turner. To improve its sleek looks even further we have developed an Akrapovic slip-on system which fits smoothly into the lines of the Kawasaki. The Akrapovic slip-on exhaust system is designed for riders who are looking for an excellent combination of aesthetics, quality and price. System is available in EC Type approval and sportier open version. 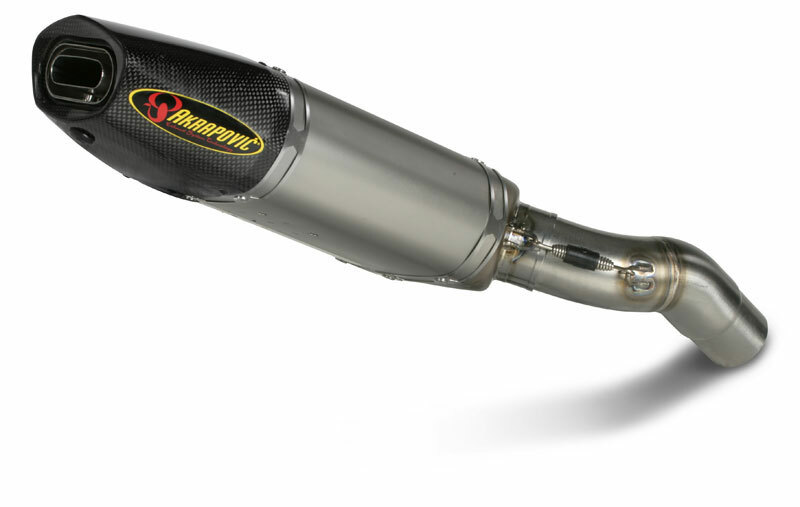 Power & Torque: Akrapovic power curve follows the stock curve up to 6000 rpm, and then shows an noticeable increase which extends right into the overrev range. 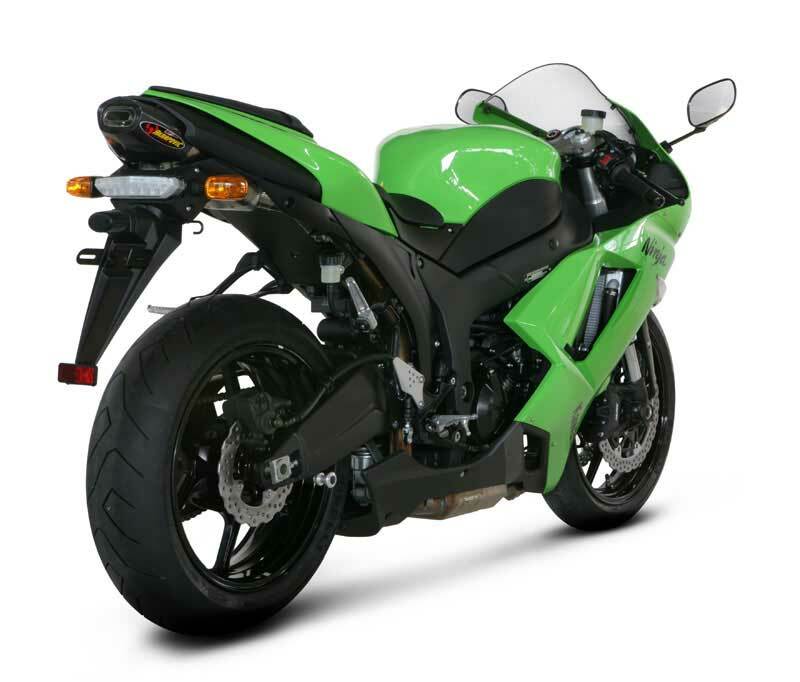 The ZX 6-R receives 117,8 HP at 14325 rpm, which is 3 HP more than with stock exhaust system. The torque curve is increased throughout the entire rpm range and gives more easy to drive engine characteristics.